Merry Christmas and / or Happy Holidays to all my readers. Happy New Year, Mr. Sterling! 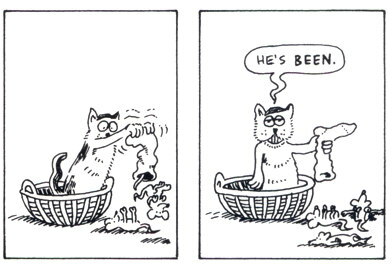 I want to visit the universe where Jim Davis revolutionized comic-book storytelling while Alan Moore created the world’s most beloved cat-centered comic strip.